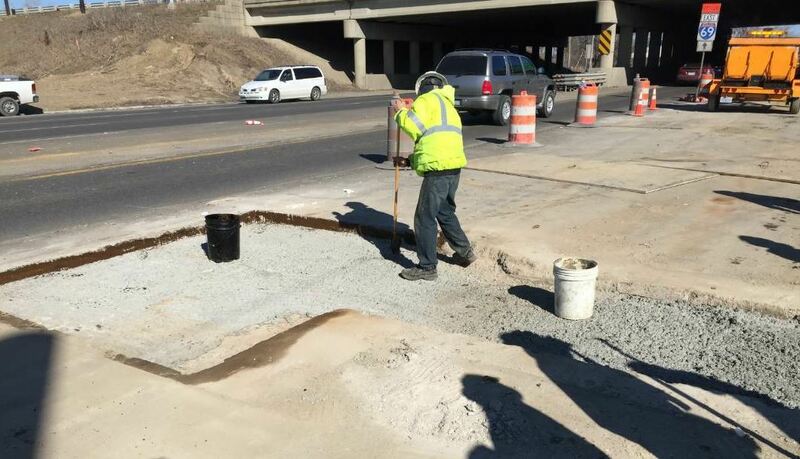 Winter weather conditions exacerbate potholes and raveling in some pavements, and material availability for repairs can be random. Once the plants close for the winter, the season is essentially over because hot-mix asphalt (HMA) is no longer available. Depending on the weather, HMA plants usually close for the season in late November or early December and they usually open again sometime in April. When the temperatures drop in the winter it is important that your crew works as fast as possible throughout the entire process. Wintertime patching isn’t that much different than summer patching and you can follow these key steps to ensure success. Step 1. Prep the Repair Area—Preparation includes cleaning the area of any debris and drying out any moisture. Step 2. Apply Material—Either use a hotbox reclaimer to reclaim bulk stored virgin mix overnight or use an asphalt recycling machine to reheat bulk stored virgin mix or millings. By using a hotbox, you can reclaim and then maintain asphalt temperatures for 2 days. There is no need to worry about your material getting cold while in transport or while working. Most hotboxes are thermostatically controlled meaning you set the temperature of the mix and the hotbox will automatically monitor the temperature and reheat it whenever it gets below your setpoint. We currently have 7 hotboxes in our fleet and they are all working during the winter. We set the asphalt temps between 325-350 degrees and the hotbox maintains those temperatures all day. Step 3. 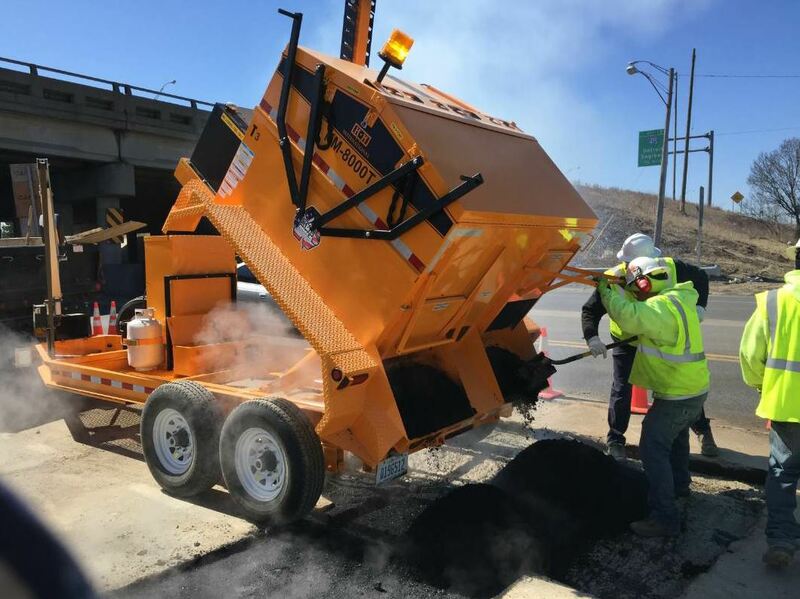 Compact—Compacting asphalt at the hottest possible point achieves high compaction density and in turn a long-lasting repair. During the winter months your crew will need to work as one cohesive unit as fast as possible. Kelly Russell is the asphalt superintendent for KMI Road Maintenance, Flint, Michigan.